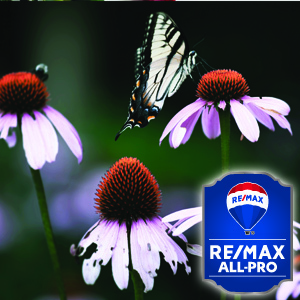 Whether you’re a buyer or a seller, find an experienced, top-producing agent on remaxallpro.com. Home sales in the 54-market report have declined year-over-year for seven consecutive months, through February’s downturn of 4.2% was the smallest since the 1.1% drop that started the streak in August 2018. At the same time, inventory grew 5.8% over February of 2018, marking the fifth consecutive month of growth following a decade-long trend of shrinking inventory. The Months Supply of Inventory also grew in February from 3.1 in 2018 to 3.4 this year. A sixth consecutive month of declining home sales in January contributed to the largest year-over-year inventory increase in at least 10 years, according to the RE/MAX National Housing Report. While year-over-year home sales dropped 11% – extending a streak that began in August – inventory grew year-over-year by an average of 6.4% across the report’s 54 U.S. metro areas. January marked the fourth consecutive month of year-over-year inventory growth – further reversing a decade-long trend of shrinking inventory. December’s declining home sales and growing inventory solidified 2018 as the year the red-hot seller’s market moved toward a balanced market. Price growth also moderated, though December was the 33rd consecutive month of year-over-year increases in home prices, according to the RE/MAX National Housing Report, which includes 53 metro areas. RE/MAX Holdings, Inc. (NYSE: RMAX), parent company of RE/MAX, one of the world’s leading franchisors of real estate brokerage services, and Motto Mortgage (“Motto”), announced the hiring of Jerry Modes as Senior Vice President, Information Technology, and Kerry McGovern as Vice President, Communications. Modes, a pioneer in the IT/data field, will provide high-level strategic leadership to the expanding RE/MAX technology groups. He’ll oversee internal IT operations, membership data infrastructure, and the ongoing development of data-driven RE/MAX products by booj, the award-winning tech company acquired by RE/MAX LLC in early 2018. The RE/MAX National Housing Report for October saw sales decline 4.6% from a year ago – compared to sales drops of 11.6% in September and 1.1% in August – and was the eighth month of 2018 to record lower sales than 2017. As a result, inventory is slowly being replenished, with the number of homes for sale in October increasing 1.0% over October 2017. October 2018 was the first month to show a year-over-year increase in inventory since October 2008 when two and a half times as many homes were for sale. The Months Supply of Inventory is now 3.5, compared to 3.3 a year ago. DENVER – The RE/MAX National Housing Report for September 2018 showed the trends of fewer closings and stabilizing inventory continued through September, punctuated by a surprisingly big 11.6% year-over-year drop in home sales. At the same time, the RE/MAX National Housing Report for September 2018 posted a Median Sales Price of $241,000 that marked the 30th consecutive month of year-over-year price increases. It is the highest September price in the 10-year history of the report. To access the housing report infographic, visit: https://rem.ax/2phKHWT. The decline in home sales year-over-year was the largest since May of 2011, as September became the seventh month of 2018 to record lower sales than 2017. Even so, year-to-date 2018 home sales resemble 2017’s. Home prices rose by 3.7% over August 2017, much lower than the year-over-year price increase of 5.4% from August 2016 to August 2017. In fact, the past three months of 2018 have trailed 2017’s rate of price growth year-over-year—compare that to four of the first five months of 2018 when year-over-year price increases easily topped those posted in 2017. The Median Sales Price of $248,500 marked the 29th consecutive month of year-over-year price increases. Even though active inventory dropped for the 118th consecutive month, the decline of 5.4% from August 2017 marked the smallest year-over-year decrease since August 2014. In addition, the August 2018 inventory drop marked the fourth consecutive month in 2018 to post single-digit percent declines, rather than the double-digit monthly drops consistently seen in early 2018 and over the previous three years. Contos added that although the lack of inventory continues to be a challenge, the trends suggest that the market finally appears to be rebalancing. “The moderation we are experiencing seems to be a bit more than the normal seasonal lull we’d expect this time of year,” said Contos. In the July 2018 report, 37 of the report’s 54 metro areas posted sales increases over July 2017—April was the first month of 2018 where more homes were sold than the same month in 2017. The report also marks the 28th consecutive month of year-over-year price increases. The Median Sales Price of $250,575 was up 4.4% from July 2017, and represents the third-highest price in report history—topped only by May and June of this year. Months Supply of Inventory was at 2.9 – the smallest total ever recorded for July. Forty-two of the 54 metro areas reported a year-over-year drop in inventory. The Days on Market dropped to 41 – four days less than July 2017 and one day under the previous nine-year low set in June 2018.